Antbear Guest House is an eccentric collection of art, amazing hospitality and total comfort. The food is fantastic, homegrown and freshly picked from the homestead’s own organic garden. The buildings are made of straw bales, rammed earth and sun dried bricks, which create an alternative and organic flare. For the more discerning, unique and luxurious accommodation is available in the ‘cave’, a tastefully decorated hideaway with en-suite bedroom and adjoining lounge and crackling fireplace. 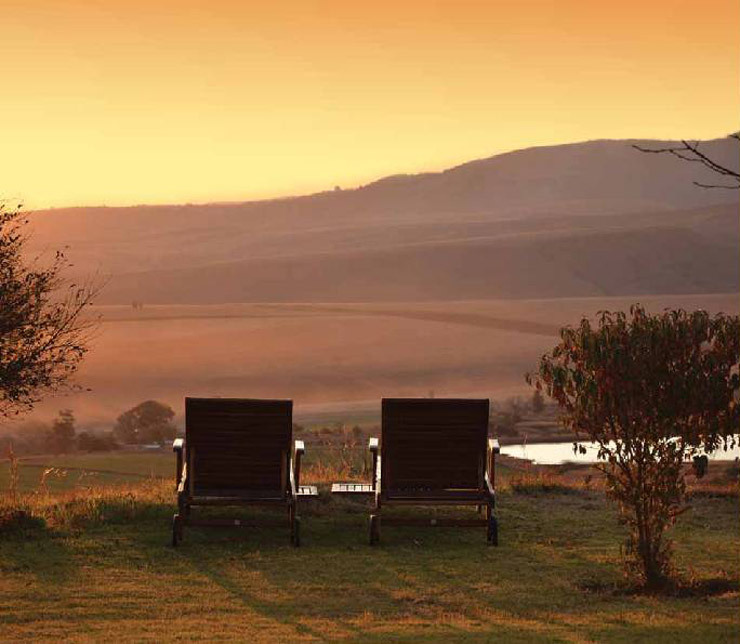 Glass doors open on to a sundeck and an uninterrupted panorama of the Drakensberg. Your browser does not support the technology to display this enquiry form. Click here to be redirected to the simplified enquiry page for Antbear Guest House.